There are quite a few houses within Chicago’s 77 neighborhoods. Needless to say, that’s a lot of windows! But which window styles fit each Chicago home design best? 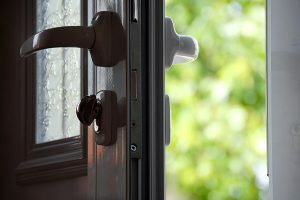 In this article, we’ll go over each of the most common styles of home in Chicago and recommend our picks for the best windows for each. Craftsman style homes in Chicago originated from the British Arts and Crafts movement in the 1860’s as a response against the Industrial Revolution. 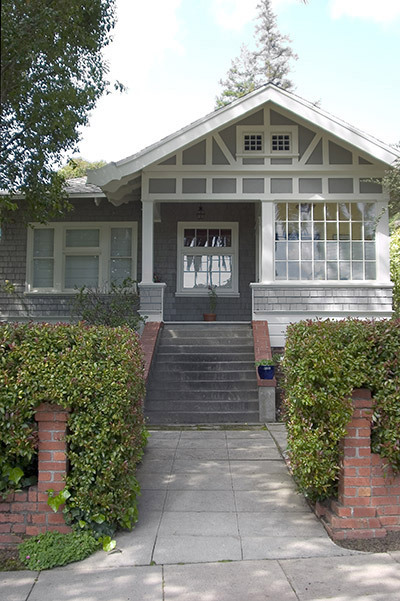 The Craftsman architectural style emphasized an individual worker’s detail and craftsmanship vs. mass production. Some similar architectural components of Craftsman style homes include low pitched roof lines and roof edges, also called eaves, that overhang well past the exterior walls of the house. One of the most noticeable characteristics of an American Craftsman style home is that the front porch is below the extension of the roof on the front of the house. We like bay windows, especially for those Craftsman homes in Chicago that have a nice wide bay or bow window on the front porch. Also, a combination of double hung windows and picture windows are ideal for the American Craftsman style. Naturally, you can also try different window grid patterns. For these homes, we think the prairie-style grid pattern is ideal. By 1920, architects and builders began building affordable single-story homes in the city that were marketed to the the growing number of middle-class families. These homes were commonly a rectangular brick structure with a small porch that made them unique. 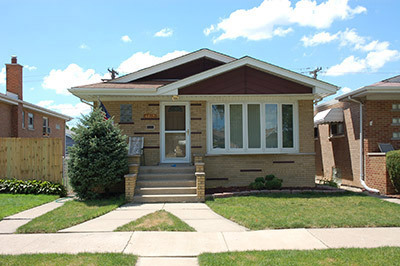 Today, bungalows are one of the most common types of homes in Chicago and the surrounding areas. These beautiful all brick homes are a piece of Chicago history. Chicago bungalows typically have a bank of windows on the front wall of the house next to the small porch and front door. Many also have a dormer-type window that protrudes from the roof, giving these Bungalows a unique style. 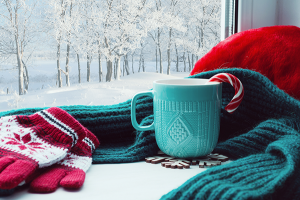 Double hung windows are perfect here since they are operable and you could open them in the warmer months to let some fresh air in. Complementary to double hungs are casement windows and picture windows. These would also work well for windows in the front of the home. Some bungalow style homes in Chicago feature transoms above the front door and even on some windows. The transom adds a beautiful and unique touch to the home. One style of a signature Chicago-style home is the brick two-flat. Most of these two story homes were built between 1900 and 1920 to fit the booming population growth from European immigration which made up almost half of Chicago’s population. Most Chicago two-flats feature a small porch with brick columns along with a set of concrete steps. Windows are not banked together, rather they stand apart from each other, sometimes with a capstone of sorts on top of the window opening. All of these features make for one very interesting Chicago architectural style. Each window in a Chicago two-flat stands alone in most of these homes. We recommend double hung windows, usually with a white exterior, for two-flats. Another classic feature of these homes are the glass block windows for the basement. Classic Chicago style is apparent in these amazing historical homes. The four square architectural design style is a popular home design, especially in the Edgewater neighborhood on the northeast side of Chicago. The American four square design features a boxy look with two and a half stories. The major hallmark of a foursquare home in Chicago is the large front porch with wide stairs leading up to the front door. Four square homes, unlike most bungalows and two-flats, are found with siding rather than brick. The windows on these homes usually stand alone other than the front windows of the home which are usually banked together. The top floor is usually a large open space that features dormer windows. Double hung windows make a perfect complement to the four square design and architectural style. If the window opening is wide enough on the bottom floor porch, a series of picture windows flanked by casement windows would be perfect. Also, for the same space, a bay or bow window could be used to add dimension but that is not traditional for this style of home. Lastly, the dormer windows could open horizontally (sliding or slider windows) or vertically (double hung windows). Depending on the brick or siding color, white or even a bronze exterior color would work with the classic looks of this Chicago home’s style. The prairie or prairie school style of architecture is an early 20th century style that is most common in the Midwest, including Chicago. One of the pioneers of this style of architecture was Frank Lloyd Wright. 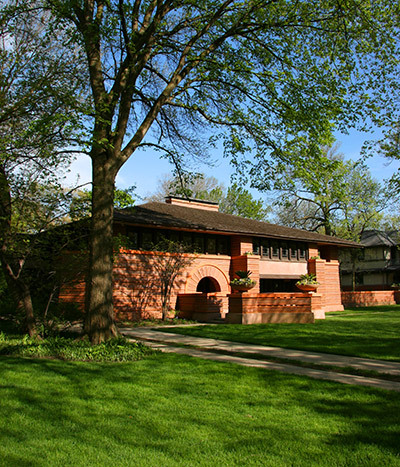 He started his architecture and design practice in Oak Park, IL and built many prairie style homes in Chicago. Prairie style homes are characterized by features including a low-pitched roofline, overhanging edges of the roof (eaves), emphasis on horizontal lines, an open floor plan and central chimney. The emphasis on horizontal lines in Chicago prairie homes also includes the windows. On many of Frank Lloyd Wright’s designs, windows are aligned horizontally. Oftentimes this included the use of clerestory windows, which is basically a set of windows located on the upper portion (above eye level) of a high wall. Casement windows with prairie style grids (of course!) would be perfect for use on a prairie style home in Chicago. A set of picture windows would also work as clerestory windows when positioned on a high outside wall. On some prairie homes in the Midwest, there are also some specialty or architectural windows that appear either above other window styles or as central focal points on the home. Prairie style homes are a testament to great home design and the windows are a large part of that. 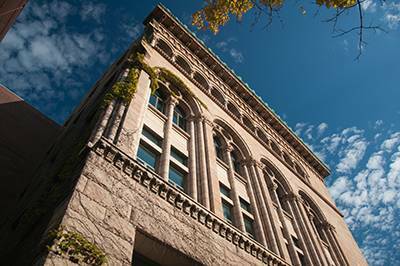 Greystone is an early 20th century style of architecture that is most common in Chicago. These beautiful residential buildings (and Chicago landmarks) were built with limestone that was quarried from Indiana, giving the homes a grey color. Many of the first greystones were built in the North Lawndale neighborhood and they expanded from there. In Chicago, there are many different styles of greystones including Romanesque Revival, Queen Anne, Chateauesque and Classical Revival. Each of these with their own special characteristics including large porches, recessed windows, ornate stone carvings and unusual rooflines complemented with dormers and chimneys. There were thousands of these homes built in Chicago and now the Neighborhood Housing Services of Chicago has developed a Greystone and Vintage Home Program set to restore these beautiful homes. A common style of window found in greystone architecture is the double hung window or a vertical window with two sashes. Also many greystones are found with large picture windows that are deeply recessed into the structure of the home. In addition to double hung and picture windows, many greystone style homes in Chicago have windows with curved tops or architectural windows. Greystone homes definitely tell the story of historic Chicago! Dutch colonial homes were originally built in the early 1900s and are commonly called “Dutch Colonial Revival”. The primary characteristic of the dutch colonial style is a gambrel roof, which is a two sided roof with slopes on each side. These are basically what you might call a “barnhouse roof” since many barns have this style of roof. The roofline is a major part of these homes so naturally dormer windows are used along with double hungs and sometimes bay windows for the front of the house. Usually two double hung windows in a pair are used for each room. Double hungs are also used on the dormers. On some dutch colonial homes, a large bay window (usually comprised of one picture window flanked by two casement windows) is featured on the front of the house. Many dutch colonial homes also feature window shutters that contrast against the color of the home’s siding. All of these windows complement what is a classic Chicago home style which is also frequently seen in the Chicago suburbs too! 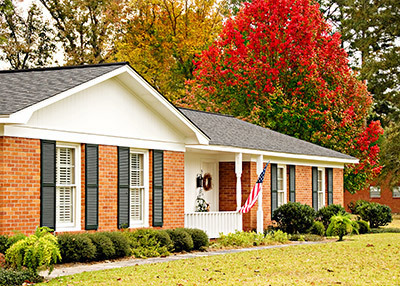 Ranch style homes are commonly found throughout the U.S. and are certainly a mainstay in the Chicago area and suburbs. These homes also have their roots in the early 20th century, around the 1920’s. This distinctive style continued on up until the 1970’s, which is why you can see so many examples in Chicago today. 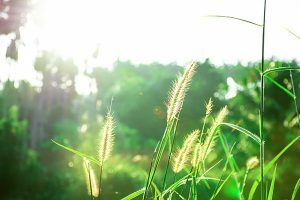 Some of the characteristics of ranch homes in Chicago include a single story, open floor plans, attached garages and also sliding patio doors for the backyard. In Chicago, these homes were mostly made with brick and siding exteriors, unlike some of their western United States counterparts that feature stucco exteriors. Many of these homes were built with different window openings. Some ranch style homes in Chicago can be seen with amazing bow windows showcasing the front of the house. Others can be found primarily with double hung windows throughout. Either way, these homes are a staple of Chicago home architecture and can be improved with new windows. Which Chicago Home and Chicago Windows Do You Like Best? This is just a short list of the types of home styles that can be found in Chicago, IL. Many of these homes can be found elsewhere in the United States and around the world but to us, they’ll always be Chicago homes! The window styles are almost as diverse as the homes. From casements to double hungs to large picture windows, these Chicago houses have them all. 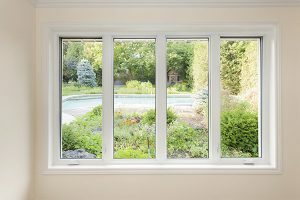 When it comes time for window replacement, all of these home styles have a variety of options in terms of windows, to say the least!